Carter Davidson of Grayghost Productions has edited from his several films shot at TRL a nice sequence of scenes and experiences. This video is another by Carter Davidson of Grayghost Productions. 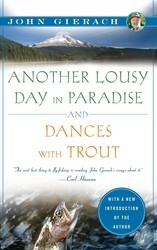 Shot in 2009, it takes a look at camp life and fly angling on our Woods River system. One of our most frequently asked questions is "Is this the place in Labrador where John Gierach fishes and writes about?" John has been a great friend of TRL since his first trip up in 2001. He has written about his adventures here in many of his books. 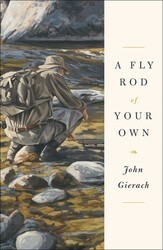 For those of us who enjoy living the dream through our reading, you'll find no other fly fishing author as comfortable and engaging as Mr. Gierach.